Under The Apple Tree is a brilliant stop motion animation about a struggling farmer and his bitter brother, the priest. The film focuses on a sibling rivalry but elegantly incorporates a new zombie genre perspective, zombies manipulated by apple rotting worms…genius. The attention to detail throughout the film is exquisite, it’s beautifully crafted and the story is brilliant and ingenious. The film is slightly disturbing, using a creepy dark tone with witty undertones, reminding me of Tim Burton we once enjoyed. 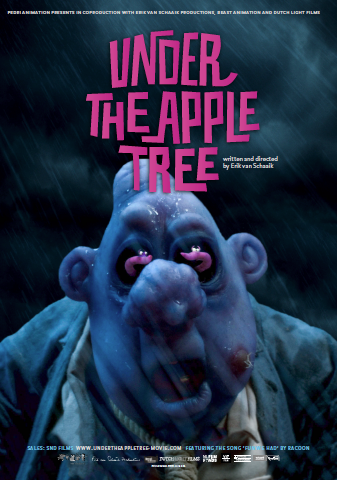 Under The Apple Tree, distinctly showcases the juxtaposition of opposing points of view and how they lead to different interpretations of one situation. I would love to see this Under The Apple Tree developed into a feature film especially because it offers such an interesting and alternative backstory to zombies. See the trailer here.